Regina – The Regina Pats Hockey Club is pleased to announce that members of the Regina Pats Alumni Association are going to face-off against members of the Soldier On organization as part of Homecoming Weekend. This informal game takes place on Friday, February 16, 2018 at 1:30 p.m. at the Brandt Centre. Soldier On is an organization that supports veterans and serving members of the military to adapt and overcome permanent physical or mental health injuries through physical activity and sport. As part of the salute to military, the Regina Pats will be hosting the Soldier On organization throughout the Homecoming Weekend. This is a free, informal event and fans are welcome to attend. Those who plan to come can enter the Brandt Centre through the West Side (Lewvan Drive) door. The puck drops at 1:30 p.m.
Pats alumni taking part in the game are Jock Callander, Drew Callander, Russ Gronick, Boyd Kane, Frank Kovacs, Kelly Markwart, Clint Orr, Mike Reich, Doug Trapp, Tony Vogel, Kurt Wickenheiser and Shaun Fleming. 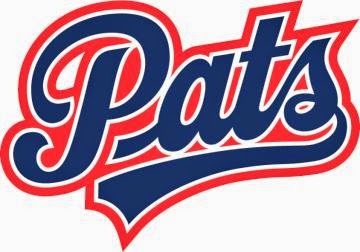 A number of Pats alumni will serve as coaches for the game, Ed Staniowski, Nevin Markwart, Bart Hunter and Darren Wilcox. The Regina Pats would also like to encourage their fans to support the Soldier On Fund. For more information and to make a donation please visit https://www.soldieron.ca. Regina – The Regina Pats Hockey Club is pleased to announce they will honour one of the all-time greats, Jock Callander in a jersey retirement ceremony on Sunday afternoon at the Brandt Centre. Callander’s number 15 will be raised to the rafters ahead of the Pats game against the Moose Jaw Warriors. Callander played for the Pats from 1978-1982, putting up 158 goals and 210 assists for 368 points in just 201 games. He sits sixth all-time in franchise scoring, his 158 goals are tied for seventh all-time and the 210 assists are sixth best in franchise history. 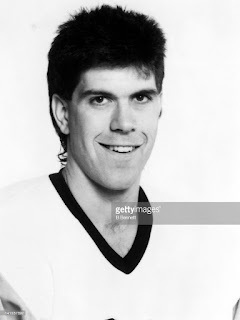 His best season came in 1981-82 when he won the Bob Clark Trophy as the WHL Leading scorer with 190 points in 71 games. Callander was a member of the Pats last WHL Championship club in 1980 and appeared in the Memorial Cup. In 49 career WHL playoff games, he scored 27 goals and had 66 points. Callander, a product of Regina, went on to play professionally for 18 years after his Pats career, winning a Stanley Cup with the Pittsburgh Penguins in 1992. The majority of his pro career was spent with the Cleveland Lumberjacks of the IHL where his number 15 has been retired as well. In 1054 games in the IHL, Callander put up 477 goals and 1242 points which is the most by any player to play in that league. The Pats organizations is proud to be able to honour Jock Callander and his family this Sunday in a pre-game ceremony starting at 2 p.m. at the Brandt Centre. That one is so long overdue it is unreal and pure class it's happening. If they wanted to put another one up they really need to look at Garth Butcher. I can see Frank Kovacs and Jamie Heward up there too. That era of Pats hockey is what got me hooked on Pats hockey and what I compared everything after to it. I think I was 7 around that time and those guys it was just endless as they were bigger than life. Back then we played road hockey and shinny there was no video games. We'd pick being a player and it was not NHL guys, but who got to be which Regina Pat. Then when the season rolled around it was a lotto draw to see who could get 16. If you couldn't get 16 then it was a fight for 11. For that team to have that level of skill then on the back end have Al Tuer and Garth and those guys took regular shifts they just beat the crap out of anyone who touched the stars. Derkatch had Lyndon Byers and L.B could play regular. It's something else as I'm in the Cooperators and when we see Dale at his Peak Performance I just always say boy oh boy if I could see those guys play in their prime just one more time or if there were clips on Youtube to watch because that was a really special era of hockey. Jock Callandar though that one is really overdue and I always wondered instead of a 21 team NHL similar to Derkatch if they had this massive expansion those guys would have stuck. They just had that bad luck of getting caught on essentially the 2 dynamic teams of the era.